Google search remains the highest intent traffic stream available. Our team use highly advanced keyword targeting and account structure methods which have been perfected over the past 10 years. "We received a welcomed 87% increase in conversions, and 340% increase in volume, would definately recommend"
There are always those horror stories you hear about a ‘friend of a friend’ who tried PPC and it didn’t work, but implemented correctly - effective lead generation can be the entire revenue backbone of a company. Many of our clients rely solely on PPC traffic due to the enormous power and reach Google has, and the way PPC can be so accurately measured, scaled and calibrated. You can literally turn on, turn off, scale up or scale down your traffic daily weekly monthly, it can be fully tweaked to suit your individual business. Another interesting question, currently you’ll see the majority of small companies spending well in excess of £12k per month on PPC. The biggest spenders in the market currently are insurance, loan and mortgage companies who in some cases can spend well over £1M+ per month. The fact is, if you have an effective account that’s meticulously built (and managed) and there is search volume available, why not dominate your market and take the opportunity to seriously scale up your business. What do other companies spend on PPC, and lead generation? Anyone can learn how to use Google Adwords (or similar platforms), BUT knowing how to use it successfully and profitably takes years of extensive testing, problem solving, training and hands on experience. Your customer has a ‘potentially’ very bumpy journey before a conversion is possible, but our service is unique as we ensure your whole conversion funnel is working properly. For instance, you could have the best PPC company in the world sending traffic to a website that’s not properly optimised – and you’ll always see poor results. Getting each part of the journey correct plays a big part in your bottom line. We’re experts in linking each stage together carefully resulting in maximum ROI for your business. What separates us from other PPC agencies? If you’re new to PPC or indeed currently running pay-per-click campaigns on Google AdWords, our experts can evaluate and use specialist software to micro analyse the functionality of your entire sales process. We can then fully evaluate your marketing position, correctly optimise and maximise your businesses return on investment month on month. Most campaigns we see have between 30% - 80% spend wastage on search terms that are not relevant, bidding for non-converting searches or just poorly constructed campaigns. If you’re one of these businesses, we have seen sales grow by at least 50% in some cases, and lead-based operations have seen increases of 80% upwards with accounts run properly, and websites highly optimised to convert. I can’t stress enough how important getting these crucial steps correct. If you’re interested in us managing your PPC, we’ll establish exactly what you’d like to achieve from your PPC efforts, and examine carefully your monthly goals / sales targets, while constantly diminishing spend wastage on a daily basis. Many clients have asked us to increase sales of a particular product, or target a new section of the market or even geographical location, to promote a new service or grow their business incrementally. We’ll carefully examine how your PPC campaigns can be tweaked to drive more relevant customers, not irrelevant time wasters to your website, we’ll focus on driving traffic that actually converts. Our PPC experts look at details such as the actual wording of the adverts, the geographical locations and if your ads are showing at the best times of the day. Keywords and negative keywords should be grouped correctly, and the landing pages they point to should also correlate correctly. We Drive Highly Targeted Traffic To Carefully Created Landing Pages Using Our Cost-Effective Lead Generation Service! There are more than 3 billion people online, and tapping just a fraction of this incredibly huge and active market could set your business up for continuous profit. The key to success is to drive a constant flow of highly targeted traffic that converts into valuable leads, subscribers or sales into your web landing pages or sales pages. This is where effective lead generation techniques come into play. Smarter PPC Clicks is committed to helping you get the most from your online marketing campaigns using lead generation techniques that are specifically tested and proven to deliver the right kind of results you need. The intent is to drive not only a steady flow of traffic to your websites, blogs, landing pages or sales pages, but to attract highly targeted audiences that have the most likelihood on converting into customers, and helping you reach your ultimate goal of increasing sales revenue. Why Use Lead Generation Services for your Business? Lead generation services deliver maximum results so you can get the most out of your digital marketing efforts, while minimizing the cost of paid advertising, and to achieve the ultimate goal for all your online marketing efforts – to generate ongoing sales. Effective lead generation services not only increases your sales volume, but also improves your overall branding and online reputation. How Does Our Lead Generation Service Work? 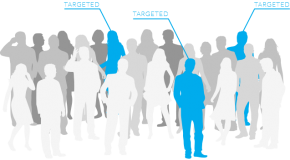 Full Marketing Strategy – We’ll deploy a lead generation campaign that makes use of highly effective and proven digital marketing techniques that will provide for you a full marketing strategy that delivers profitable actions, and results from targeted sets of customers. 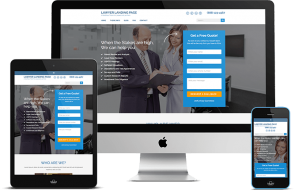 Landing Page Optimisation – Your landing page is hugely critical in your lead generation campaign, and is crucial in guiding your targeted audiences into making the ultimate action that will convert their visit into a your lead or sale. Traffic Generation – Internet marketing is effective if it generates highly targeted traffic that converts. SMARTER PPC CLICKS will employ incredibly effective traffic generation techniques that will help you get maximum results for your business. AD Budget Optimisation – Paid advertising deliver highly targeted traffic, but it could also cost you much more than it can deliver without proper AD budget optimization and management. Data Analysis – The secret to successful businesses is continuous improvement and you can do so by properly analysing your metrics and other data so appropriate adjustments in your lead generation campaign is made to deliver improved results. Let us help you in generating high-quality and targeted leads for your business in a cost-effective ways! Get started now, contact us below and let us talk. One of the most frustrating things that you may experience as a business owner is not having a profitable lead generation campaign. Even if you have the best of products or the most efficient of services to offer. Without valuable leads your business will not be generating sales, and this of course will affect your profit and overall bottom line. Many start-up business owners however do not have enough resources that they can use to invest heavily in marketing and advertising unlike big corporations or multinational companies. Many simply rely on word of mouth advertising, or use available digital marketing techniques to increase brand awareness for a more effective lead generation campaign. A recent survey by Webmarketing123 highlighted SEO, Pay-Per-Click advertising and Social Media Marketing as the top digital marketing tools that are most effective for lead generation for both the B2B and B2C markets. The survey pointed at Search Engine Optimisation as the tool with the biggest impact on lead generation goals, but as we learned here at Smarter PPC Clicks, the nature of PPC Advertising makes it a more effective tool for generating targeted leads that have the most likelihood of converting into sales. From a sales perspective, the use of PPC advertising can be a better choice if you need to generate valuable leads within the shortest possible time, which may not be possible with SEO. That is why it is very important for business owners and digital marketers to pay close attention on their PPC campaigns, as this tool has the strongest potential of helping you achieve your goals. Keep in mind that PPC is a paid advertising channel, so lets cover these 8 secrets that can boost your lead generation campaign significantly. Direct Prospects to a purpose built Landing Page – Not Your Home Page. One of the biggest mistakes digital marketers make in their PPC advertising campaigns is to link their ads to their main home page of their website. If you want to get the most from your PPC ads and generate valuable leads that may spell the success of your business, then you should direct your prospects to a well designed landing page instead. Although your home page may tell the most comprehensive information about your brand, product or service, landing pages were specifically designed to generate a direct action from a website visitor that will convert them either as a business lead or a paying customer. The key here is to go direct to the point and focus everything there is in your landing pages with one end goal in mind – lead generation. Your Content/Advert Should Match Your PPC Advertisement. Online users who clicked or responded to your PPC advertising did so because they wanted more information about a specific product or a service your ad was talking about. They would expect that the landing page they will eventually be brought to after clicking on your ads will provide them with the answers they need. It your ad focused on a certain keyword or topic, it should be expected that your landing should provide additional information about that particular keyword or topic. Don’t let your landing page visitors wonder if they have arrived at the right web page or not. They would expect something more about the keyword or topic and would definitely be turned off if your landing page content talks about something else entirely. Your content should be geared up to entice landing page visitors to become a lead or a customer, so make everything count as very relevant to their needs or what they are looking for. Optimise Your Lead Generation Form The contact or lead generation form that you have included in your landing pages is created for one particular but very important purpose, to collect important information about a web page visitor and convert them into valuable leads. That is why it is so important to have your forms designed with lead generation as its primary focus. It would not be wise to add embellishments on your forms as these would only create distractions for site visitors. Just take for example the Captcha field which is basically not really appealing for many web page visitors. It would be to your greatest advantage to have your forms focused only on the most important items that you need to know. Avoid including form fields that would ask a bunch of questions that are really not that relevant enough for your purposes. Give Rewards or Offers When Visitors Sign Up on Your Lead Generation Form. Hand in hand with your lead generation form, you should include rewards and offers that you would most willingly give site visitors in exchange for their sign-up information to a blog or newsletter. There are lots of rewards or special offers that you can give your lead generation prospects. This includes eBooks, whitepapers, presentations or videos. These freebees should also be well designed to give your web visitors something of value that will entice them to know more about what your brand, product or service has to offer. It would be wise to place your offers in a prominent location near your lead generation form, with customized graphics and text that will entice people to make a response to a particular call-to-action. Provide Evidence to Support Your Advertising Claims. To make the text of a PPC Ad more enticing for targeted prospects, digital marketers will embellish them with claims intended to create a wow factor and make people click on your ads. However, it would be wise to support these advertising claims with enough evidences that will gain the trust of your targeted audiences. One of the more convincing tools that could support your claim as a reputable product or service is the customer testimonial. You can also try using or incorporating other tools that would help convince your site visitors even further including slideshows, white papers and eBooks. To top it all off you should also feature prominently trust seals from organisations or agencies that will definitely increase your credibility and gain your targeted audiences trust. Address Every Possible Objections Prospects May Have About Your Products or Services in 3 or 4 bullets If you are offering a specific brand, product or service, you should expect consumers to throw all sorts of questions or even objection centered around what you have offered them. These inquiries will include everything including your prices, difficulty in setting your products up, and other sort of questions born from their uncertainty of availing of your product. It would be to your greatest advantage to answer all these questions right away even before the questions or objections have been thrashed out. Side by side comparisons with other similar products or an F.A.Q Frequently Asked Questions. list will dismiss any doubt or objection they may have that is hindering them to sign up as a business lead or even a customer. Provide Really Easy Ways for Prospects to Contact You Even in an online marketplace, many people are still more relaxed talking directly to a person who can answer their inquiries about your product or your service. With many scammers out there, people are finding ways to distinguish the real deal from those who are not and contacting them directly through phone would be a good choice for them to take. By putting in a contact number you can help further dismiss any doubts or apprehension they may have about your product or service after clicking on your Ad. If you are not comfortable providing a contact number, you may opt for a live chat facility instead. Like talking through the phone in real time live chat can increase your conversion rates exponentially. The only drawback here is that websites are available 24 hours a day and 7 days a week, so it would only be logical to have people available to man the chat fort each and every day. If this may be beyond your resources, you may opt to specify periods where chat is available much like having operational hours in a shopping centre or store. Track Conversions This is probably the most under utilised but also very important tool when doing lead generation via PPC. There really is no excuse to not make use of conversion tools offered by different providers to track the conversion rates of your lead generation efforts via PPC. Major PPC networks like Google Adwords and Facebook also offer conversion tools of their own to help you track your lead generation efforts, whether it’s giving you the results you need or not. 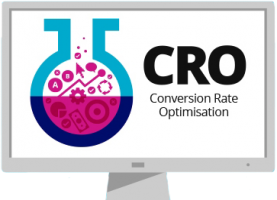 There are lots of reasons why you should track your conversions but it’s beyond the scope of this blog. For now, let’s just simplify that if you don’t track your conversions you are not getting the clear picture of your lead generation campaign and that can make or break your business. DON'T FORGET YOUR THANK YOU PAGE When people do sign up for your offer or blog, newsletter, download or eBook and provided their contact information, it would be a great strategy to lead them to a thank you page once transactions have been completed. This applies to both lead generation and sales. Doing so can increase brand awareness as you can add more info about your products or services on this page together with the confirmation codes that are used to signify their subscriptions. You can also use thank you pages to upsell other products or lead them to your social network group or community, which can further solidify your relationship with your new prospect. Pay Per Click (PPC) advertising is a very effective digital marketing tool for generating targeted leads that have a greater than average possibility for conversion. There are many ways on how you can generate leads using PPC but these 8 little secrets Smarter PPC Clicks have just shared with you can definitely put you on a highly-targeted path towards Internet marketing success. SMARTER CLICKS LTD (Company registration: 10660222) takes the privacy of its users seriously. We are committed to safeguarding the privacy of our visitors. SMARTER CLICKS is also registered with The Office of the Information Commissioner. All data captured will be processed in accordance with the requirements of the Data Protection Act 2018 ref number: ZA461131. SMARTER CLICKS LTD is the Data controller. If you have any requests concerning your personal data or any queries with regard to how we handle your data you can contact us by phone on 0115 815 9931 email info@smarterppcclicks.co.uk or write to us at SMARTER CLICKS LTD, St Johns Road, Tunbridge Wells, England TN4 9PH. SMARTER CLICKS LTD may change this policy from time to time by updating this page. You should check this page from time to time to ensure that you are happy with any changes. We collect the information below on those that may be interested in our services. We never pass on or sell data that we gather from our website. 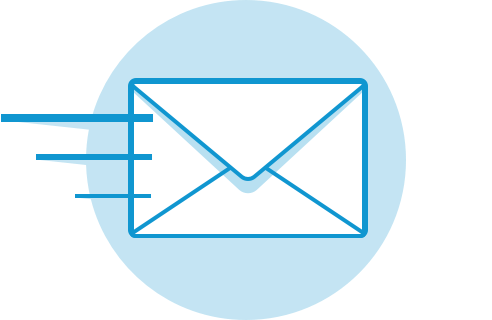 If you decide to sign up to our newsletter or download our reports, we will add you to our email contact list and may periodically send promotional emails about our services or other information which we think you may find interesting using the email address which you have provided. We do not do this regularly and will not over-promote or bombard you with irrelevant communications and you can unsubscribe at any time. Data gathered from our website is not passed on to third parties for their marketing. It is only used for the purpose of promoting the services of GSA and is processed by GSA suppliers on our behalf e.g. email newsletter providers and database management. SMARTER CLICKS LTD uses several external sub-contractors to ensure that any personal data processed on its behalf is held securely and in compliance with the Data Protection Act 2018. These processors include administration, CRM systems and call recording software, Email broadcast software, secure file transfer software. All providers comply with the regulations concerning data protection and operate under contract. SMARTER CLICKS LTD has contracts with a number of external suppliers that may process personal data on behalf of our business or the business of our clients for direct marketing purposes. This may mean that data is transferred outside of the European Economic Area e.g. to South Africa. Where this is the case, transfer will only be carried out under contract with our supplier that includes appropriate safety, security and compliance measures to protect the data. Personal data processed on behalf of GSA clients is held for the duration of the telemarketing/direct marketing campaign and is deleted 6 months following the end of the direct marketing activity. Personal data provided to GSA by way of an enquiry (online, by phone or by other means) is processed on our CRM system. We retain the data securely on our system to ensure that we are able to respond to any future requests from those previous enquirers for a period of 3 years. •	Rights relating to automated decision making including profiling. You have the right to lodge a complaint with the Office of the Information Commissioner. We screen personal data against the TPS / CTPS opt-out register every 28 days and for individual contact numbers that we may gather outside of batch screening and as a result of monitoring. You can opt out of communications at any time, even if you have previously requested information, by contacting us. We are committed to ensuring that your information is secure. In order to prevent unauthorised access or disclosure, we have put in place suitable physical, electronic and managerial procedures to safeguard and secure the information we collect online. We keep our site up to date. We collect information about your computer, including your IP address, operating system and browser type, for system administration and in order to create reports. This is statistical data about our users’ browsing actions and patterns, and does not identify any individual. The cookies in use on our site include Google Analytics. Google Analytics is a web analytics tool that helps website owners understand how visitors engage with their website. 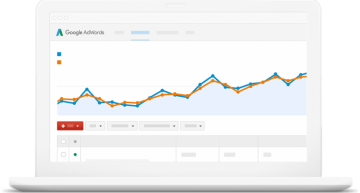 Google Analytics customers can view a variety of reports about how visitors interact with their website so that they can improve it. We will not sell, distribute or lease your personal information to third parties unless we have your permission or are required by law to do so. We may use your personal information to send you promotional information about third parties which we think you may find interesting if you tell us that you wish this to happen. Please contact us either directly or through the unsubscribe function on any email correspondence and we will remove your details from further communication. You may request details of personal information which we hold about you under the Data Protection Act 2018. If you would like a copy of the information held on you please write to SMARTER CLICKS LTD. Unit 64 The Wenta Business Centre, Colne Way, Watford WD24 7ND.